3 Reasons to Get Your Teams Outside! 27 Sep3 Reasons to Get Your Teams Outside! Being stuck all day in the office (could be a home office too!) can impact anyone’s productivity and morale. It’s important to mix things up and let your teams breathe fresh air once in while! Let your teams ditch the desk. Encourage them to work from a coffee shop. Encouraging your teams to get outside will actually help boost team bonding and inspire creativity. Here are 5 reason why it’s good to play hooky from the office! Creativity can be hard to come by. Especially, in stressful and dull work environments. Being outside will help your teams battle creative-fatigue. Encourage your teams to take a lunch break and actually leave the office! Move a daily meeting to a park or coffee shop. New situations and environment encourage Team Building. Your teams may be together for almost all the daylight hours but this doesn’t mean they are bonding. The best way to strengthen inter-office team relationships is remove teams from their workspaces. Get outside and let your teams relax. 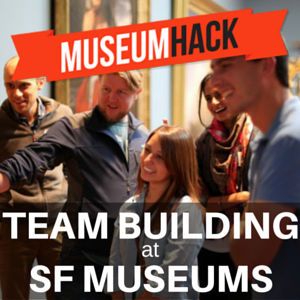 Fun team building activities, like scavenger hunts or field trips, are ways to build camaraderie. Being removed from our mundane routine can boost productivity. Many employees feel they’re more productive outside of normal work hours. This is because distractions and a dull environment can hamper our drive and work ethic. While you can’t control workplace distractions, you can control the environment! Let your employees work from home once a week. This change could actually inspire them to be more productive!